Benn Harradine won a meet held in Brisbane this weekend with his new season best 65.94m. Benn had a decent competition with 3 more rounds over 63m. Matthew Denny was second at 2014 Queensland Track Classic with a new PB for a young guy 59.04m. Gerd Kanter walking in a sunny Tallinn with his son Kristjan. We received happy news that Gerd and Liina Kanter got a son on a sunny day of 20th March 2014. Congratulations on the wonderful news and a huge big welcome to your new baby son! In the men’s shot put, Russia’s Aleksandr Lesnoy, who was eighth at the IAAF World Indoor Championships in Sopot last weekend, this time triumphed at European Cup Winter Throwing in Leiria. 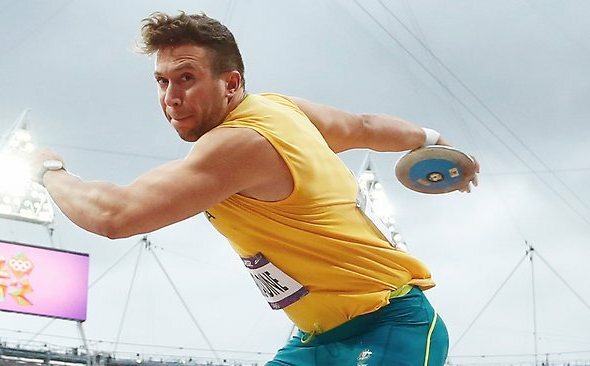 Benn Harradine threw new WL at 2014 Queensland Open in a wet Discus circle. 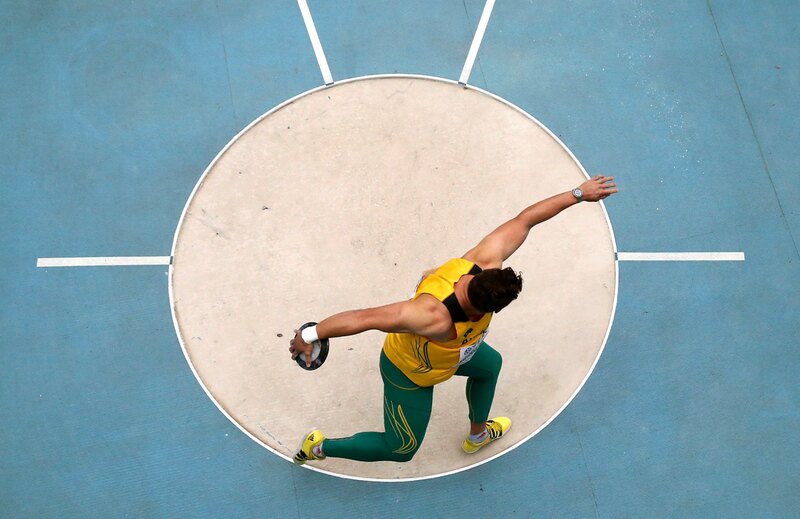 A winning throw of 65.24m is certainly a great start to his season. 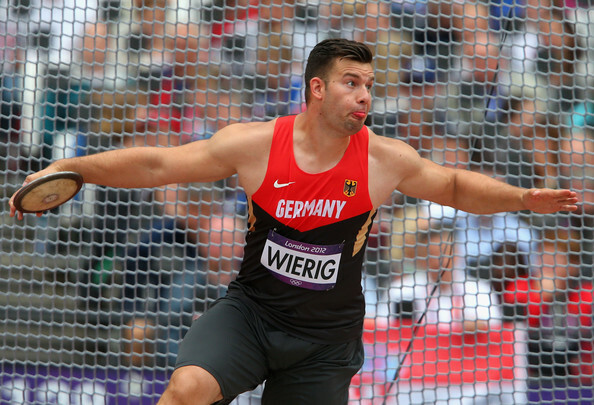 German Martin Wierig won ISTAF Indoor meet with 64.82m, he was followed by Piotr Malachowski 63.73m and Robert Urbanek 62.27. It was a big surprise that reign world champion Robert Harting was 4th with 62.20n.